I have fallen a little behind in posting my travels recently – but that doesn’t mean that these professional trips aren’t worthy of sharing! 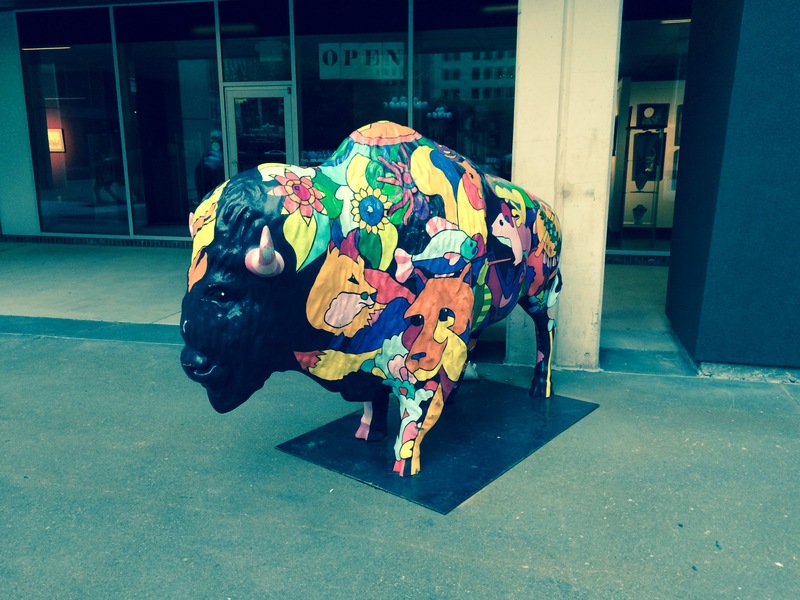 The Nature Conservancy organized a Spirit of the Buffalo public art project in 2004. These beautiful pieces of art were all over Oklahoma City! 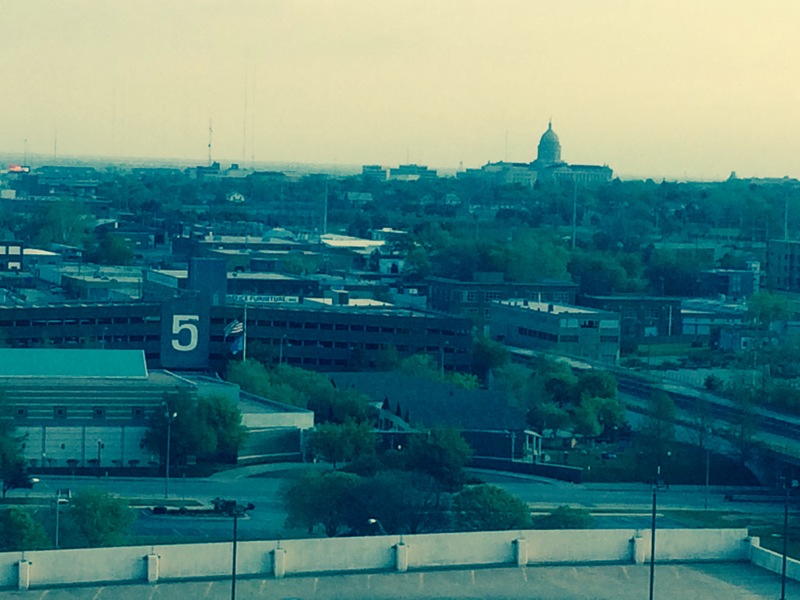 In April, I headed to Oklahoma City for a long weekend to serve as a facilitator for the OK-INBRE follow-up workshop. OK-INBRE stands for the Oklahoma IDeA Network of Biomedical Research Excellence and is funded by a grant awarded by the National Institutes of Health Institutional Development Award (IDeA) Program. More information on the purpose of the OK-INBRE program can be found on this website. The workshop was run by the Council on Undergraduate Research (CUR) as part of their workshop program on Institutionalizing Undergraduate Research for State Systems and Consortia. There were several teams from colleges and universities across Oklahoma in the room, and I was assigned to work with Oklahoma City Community College and Comanche Nation College. My objectives was to help each of these institutions define the centrality of undergraduate research on campus, how it can leverage involvement in the OK-INBRE network, and the institution’s aspirations for undergraduate research by identifying major issues and setting goals for institutionalizing undergraduate research on their campuses. These teams revisited and updated their goals for short-term (1 – 2 years), medium-term (2 – 5 years), and long-term (5 – 10 years), as well as develop strategies for achieving goals/desired outcomes. Phew! It was alot we packed into one weekend! It was so inspiring to hear what these teams were already doing on their campuses and their goals for expanding undergraduate research across even more freshman- and sophomore-level courses. A view from the top floor of the “haunted hotel” where we had the workshop, overlooking the Oklahoma State Capitol Building. In May, I was part of the organizing committee for the Convocation on Integrating Discovery-Based Research Into the Undergraduate Curriculum, hosted by the National Academy of Sciences/National Research Council in Washington DC. I posted detailed summaries about this event over at my American Geophysical Union (AGU) blog, GeoEd Trek. Feel free to review my posts for Day 1, Day 2, and Day 3. 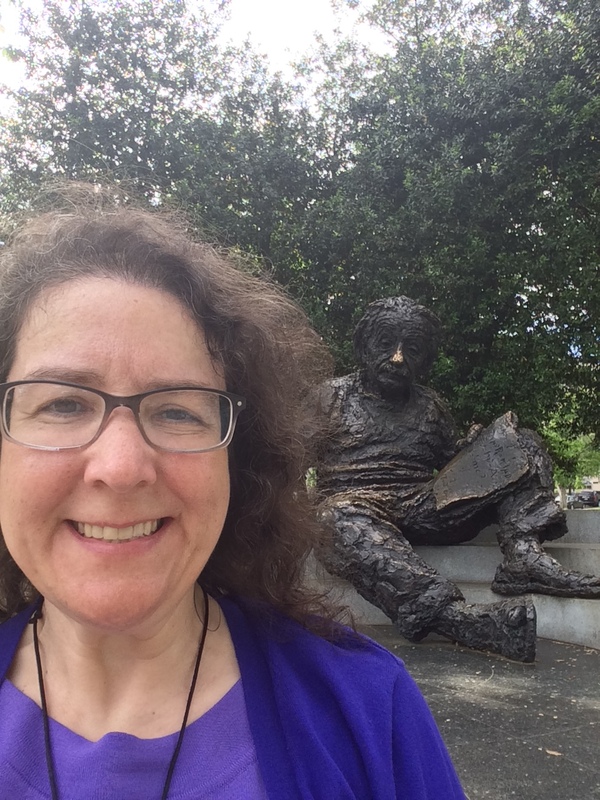 Each day had a fascinating collection of speakers from across the STEM disciplines talking about the challenge in Recommendation #2 in the White House PCAST report, “advocate and provide support for replacing standard laboratory courses with discovery-based research courses.” While at the convocation, I couldn’t resist grabbing a selfie out front of the NAS Building with Albert Einstein! This summer has much more traveling for AGU, CUR, EER… stay tuned for more alphabet letters of organizations and meetings!